ELIZABETH CITY, N.C. - Christmas Eve is upon us and Santa is about to embark on his trip around the world delivering presents to all of the good little boys and girls! 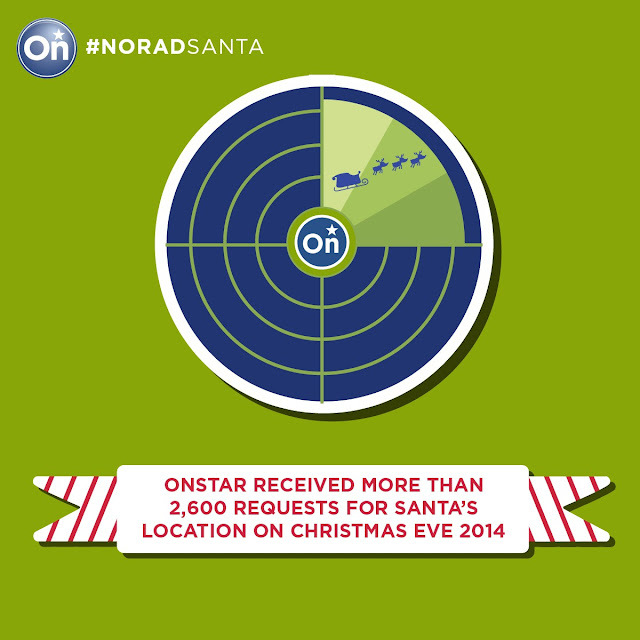 It is truly a mystery how he does it all in one night, but for the seventh year in a row you can track Santa's adventure with OnStar to make sure you're fast asleep when he comes down your chimney! OnStar has partnered with the North American Aerospace Defense Command (NORAD) again to provide Santa updates to anyone with an active OnStar subscription. All you have to do is press your little blue OnStar Button any time between 6 a.m. on Dec. 24 and 5 a.m. on Dec. 25, and a merry OnStar advisor will tell you Santa's exact location at that specific time according to NORAD's Santa Tracker Map! That’s not all though! OnStar’s AtYourService partner Audiobooks is offering complimentary copies of the classic The Night Before Christmas. Download the book via email link sent by an OnStar advisor. Families can enjoy listening to the book in the vehicle on their holiday travels using Apple CarPlay, Android Auto, or a Bluetooth connection. OnStar is also giving back this season to the United Way for Southeastern Michigan and United Way Mexico. For every call received to track Santa's adventure, OnStar will donate $1 to United Way so that everyone can benefit from the magic of the holiday season! Last year, the calls raised more than $2,600 for both organizations. If you don't have OnStar, no need to worry! You can still track Santa’s adventure via the NORAD Tracks Santa website and Faceboook. You can also go on Twitter and use #NORADSanta or call 1-877-HI-NORAD (1-877-446-6723). Happy holidays from our family to yours! Travel safely this holiday in a brand new Chevrolet. We’re happy to find you a vehicle that will accommodate you and your whole family. Perry Auto Group has two dealership locations to serve you better at 1005 W. Ehringhaus St, Elizabeth City, NC, 27909 or 1001 Halstead Blvd Elizabeth City, NC 27909. Stop in for any of your auto or community needs, or feel free to give us a call at (252) 338-9100.